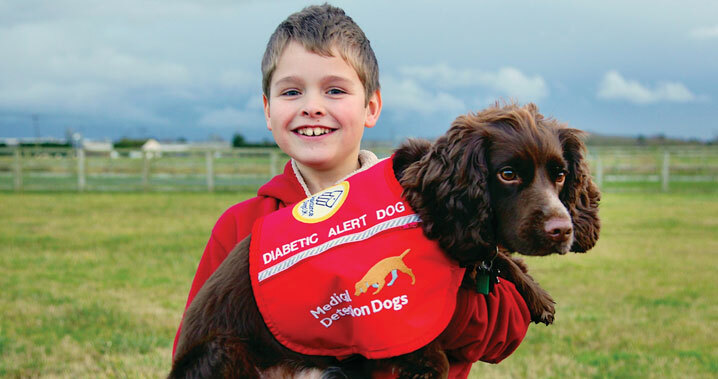 Medical Alert Assistance Dogs are trained to help people with life-threatening health conditions, giving them greater independence and above all saving their lives on a daily basis. Dogs are trained to assist individuals who manage complex health conditions. They are taught to identify the odour changes that are associated with life-threatening medical events. The avoidance of dangerously low blood sugar levels (Hypoglycaemia) is an acute daily problem for people with diabetes. When accompanied by loss of warnings it has a dramatic effect on the lives of both the person with diabetes and their family. An inability to detect a hypo is common in young children and adolescents as a result of their stage of growth and development. Recurring hypos can contribute to memory and concentration problems. For some people with diabetes deliberately raising their blood sugar levels was the only way to prevent severe hypos. We know that high blood sugars over a period of time are likely to cause disastrous consequences including amputations, sight loss, heart disease, strokes and renal failure. 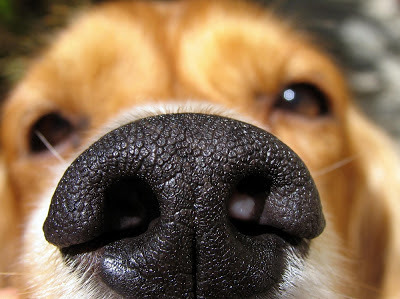 With their amazing sense of smell our dogs are trained to detect minute changes in blood sugar levels. When these levels fall or rise outside the normal range they will warn their owner, get help and fetch any vital medical supplies. 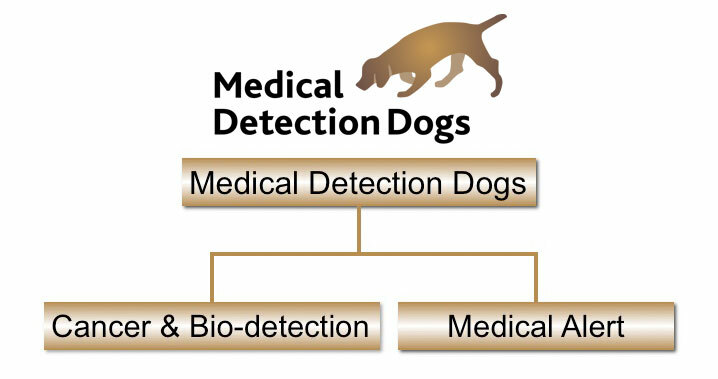 Medical Alert Assistance Dogs also provide alert dogs for those with other very dangerous health conditions including Addisonian crisis which causes severe pain, convulsions and unconsciousness; pain seizures which lead to collapse and hospitalisation; severe allergic responses, and narcolepsy, a malfunction of the sleep/wake regulating system which causes sleep attacks and paralysis. Medical Alert Assistance Dogs continues to investigate other debilitating and potentially fatal conditions which their dogs may have the ability to help.